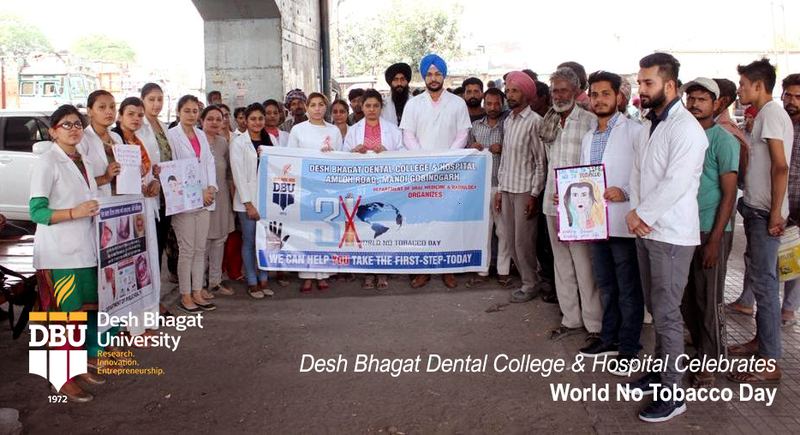 Desh Bhagat Dental College and Hospital, a constituent of Desh Bhagat University observed World No Tobacco Day. 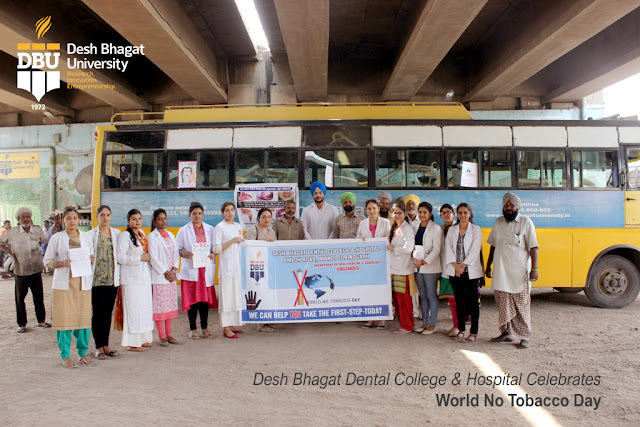 The dental students of different classes participated in it and organized awareness drives against tobacco products at different places. University Chancellor Dr. Zora Singh encouraged the dental students and staff to put every effort to make people aware about the ill effects of tobacco on human health. 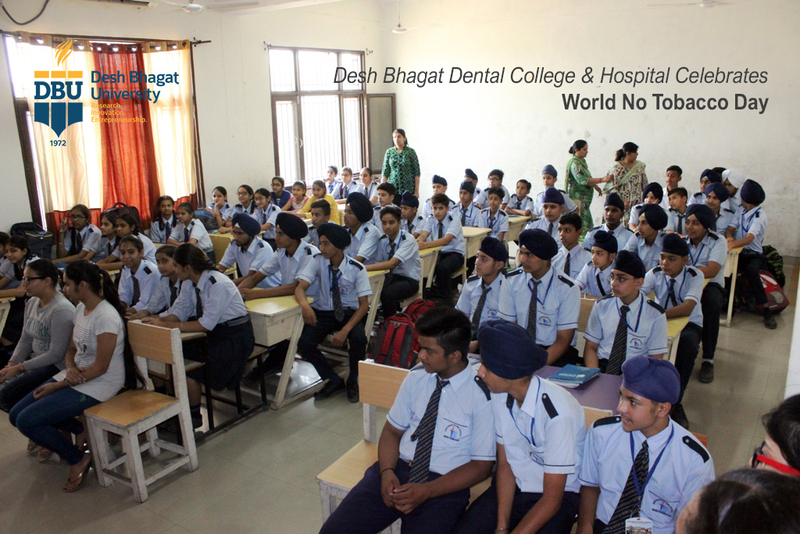 The team led by Dr. Rajvir Kaur Grewal (Reader, Dept. of Oral Pathology) made the people aware about oral health. 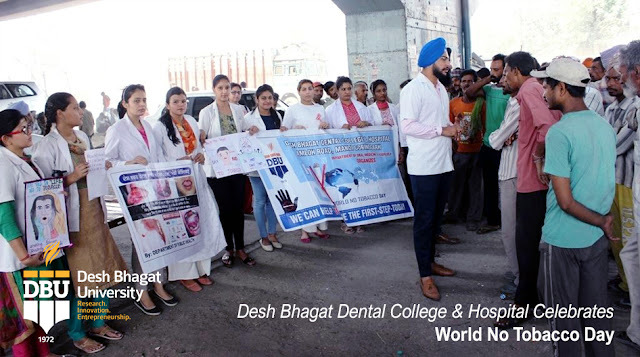 Dr. Tamanna Soni, Dr. Sonal Bhatia and Dr. Gagandeep Singh Ghansi conducted awareness talk with migrant workers and labourers highlighting about devastating harms of tobacco which might lead to Cancer. The team also motivated tobacco users to visit tobacco cessation centre at DBDC. Giving more details, Pro Chancellor Dr. Tajinder Kaur informed that the team consisted of Dr. Prabhjot, Dr. Monika Kalia and Dr. Jasvir counseled the patients on lifestyle changes such as reducing tobacco use and also provided solution to reduce tobacco related death and disease at Desh Bhagat Chowk. 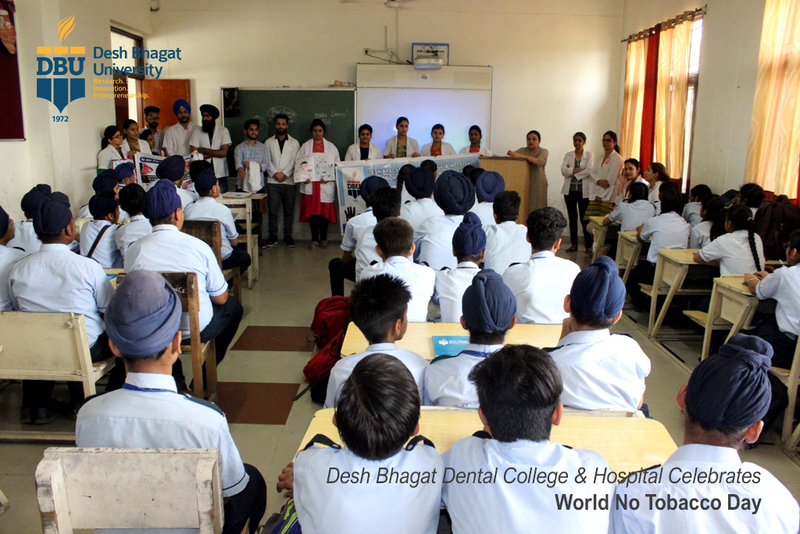 In another move, Dr. Rajvir Grewal along with the team visited Desh Bhagat Global School and addressed the students from 8th to 11th class as this age group is most easily vulnerable to sell tobacco products. The students were made aware about different forms of tobacco and explained about its harmful effects on individual physically, mentally and socially. 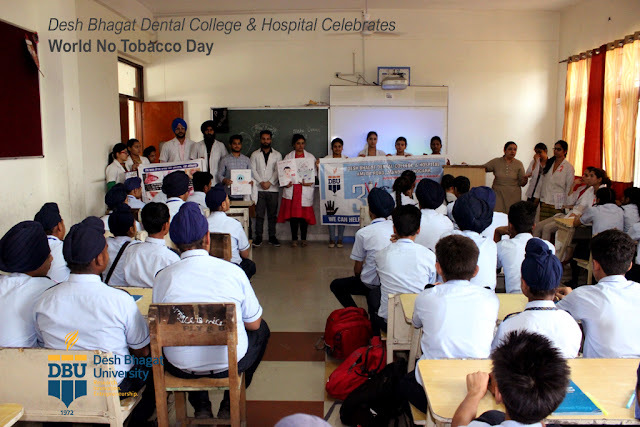 The students also took a pledge to refrain from the use of tobacco and adopted the motto, ‘Say No to Tobacco and Yes to Life’.